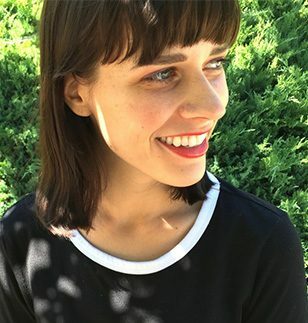 Paige Lewis, a recipient of the Editor’s Award in Poetry from The Florida Review, is the latest addition to the Randolph College Master of Fine Arts in Creative Writing faculty. Lewis, who earned an M.F.A. from Florida State University and has taught creative writing at Purdue University, has had work published in Poetry, American Poetry Review, Ploughshares, Best New Poets 2017, Gulf Coast, The Massachusetts Review, The Georgia Review, The Iowa Review, Poetry Northwest, Ninth Letter, and elsewhere. With an M.F.A. from Florida State University, Lewis debuted the book of poems, Space Struck, from Sarabande Books in 2019.